Here are some of the questions that I’m most frequently asked about vanilla. These are the short answers. If you have questions about specific products, be sure to read the descriptions posted with each product. If you are interested in more in-depth information about vanilla, check out the Queen’s book, Vanilla: The Cultural History of the Worlds Favorite Flavor and Fragrance. Any serious cook or baker as well as anyone interested in the history of food, will find this book fascinating. You can get it here. flowering plants in the world, with over 20,000 species and more than 18,000 hybrids worldwide. There are also at least 150 varieties of vanilla orchids that grow around the world, but only Vanilla planifolia and Vanilla tahitensis are used commercially. Occasionally Vanilla pompona is used for perfume making. Q. Why is vanilla so expensive? A. Vanilla is the most labor-intensive agricultural product in the world! It takes between 18 months and three years from planting a cutting of the orchid vine till the plant produces orchids. The orchids bloom and die within a few hours unless they are pollinated by hand. The beans (which are actually seed-pods) must stay on the vine for nine months before being harvested. The beans then go through a curing, drying, and resting process for several months. Each vanilla bean is handled hundreds of times before it’s ready to use! Q. Where does vanilla come from? A. Originally vanilla came from Mexico, Central America and the Caribbean. It’s a fruit of the Americas. Now it grows in many tropical countries around the world. Q. Can we grow vanilla in the United States? A. That depends on where you live. Vanilla thrives between 10 and 20 degrees either side of the Equator. So vanilla can be grown in Puerto Rico, South Florida, and Hawaii. Vanilla can also be grown in greenhouses, but it’s tricky to get the vines to flower and fruit. It’s definitely a tropical orchid and it doesn’t do well in temperatures below 50 degrees. Q. Can vanilla be grown from seeds? A. No, it must be grown from cuttings. Contact the American Orchid Society if you live in the US to find out where you can get an orchid plant. It is difficult to find vanilla cuttings in the U.S.
Q. Does Mexico still grow vanilla? A. Yes, though Mexico now produces much less vanilla than the other major vanilla-producing countries. Deforestation is a big issue for Mexican farmers as the region is hotter and less humid than when it had more forest cover. Climate change is causing weather extremes that are causing serious problems for the Mexican industry. Q. Why are Mexican and Caribbean vanillas so much cheaper than vanillas from other places? A. Nearly all the liquid vanilla from Mexico, Central and South America, and the Caribbean countries is imitation. Never mind what the labels say. The fact is that label laws are non-existent or aren’t enforced. These are poor countries taking advantage of Mexico’s early reputation as the producer of the best vanilla in the world. Unless the bottle costs over $20.00 a quart and has 35% alcohol in it, it is not pure vanilla extract. Read more about this here. Q. Is vanilla from Mexico and the Caribbean dangerous? A. Coumarin, which was often found in vanilla from Mexico and the Caribbean countries until recently can cause liver damage. Coumarin has been banned in the United States since the early 1950s. Most of the so-called vanilla extract from Mexico no longer has coumarin in it. It may, however, have red dyes which are banned for use in the United States. Q. Where is most of the world’s vanilla grown? A. Madagascar is the largest producer of vanilla worldwide, followed by Papua New Guinea. Indonesia, Reunion and the Comoro Islands were, until recently, big producers as well. Vanilla is also grown in many other tropical countries, such as India, Fiji, Tonga, China, the Caribbean and East Africa. Tahiti, which has been the primary source of Tahitian vanilla, now produces only a small quantity of vanilla though Papua New Guinea produces Tahitian vanilla. It isn’t the same quality, however. A. Vanilla is a flavor and therefore has very few calories. Unlike chocolate which is both a flavor and a food, only the extracted flavor of vanilla is used. More important is whether the food or beverage that is flavored with vanilla is fattening or not. 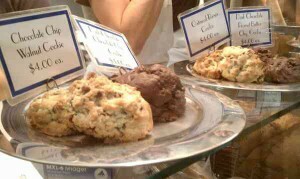 If it’s a low-fat, low-sugar food, it probably isn’t fattening; if it’s a rich ice cream, it could be fattening. Because vanilla is such a big flavor, it makes low-fat food taste better. Studies have shown that the fragrance of vanilla actually helps to lower cravings for high-fat foods. So, if you want to lose weight, carry a vanilla bean with you and smell its intoxicating fragrance to help you not eat that extra chocolate bar or piece of pie. Q. What are the equivalents for a vanilla bean versus vanilla extract? A. It’s a little tricky to compare a vanilla bean to extract. The bean offers a fuller flavor but the extract is a little stronger. In general, 1/2 vanilla bean is the equivalent of 1 teaspoon vanilla extract. Q. Why is vanilla so unique? A. Vanilla has more than 250 organic components that comprise its distinctive flavor and fragrance. It actually has at least 500 components, only about 250 have been positively identified. Although scientists have been trying to genetically clone and reproduce vanilla in a laboratory environment for the past 25 years, they haven’t been able to capture the elusive and distinctive qualities that make it so very popular. Q. Isn’t synthetic vanilla just as good? Q. Is Bourbon Vanilla made from Bourbon? A. No. Vanilla contains at least 35% alcohol, but it’s sugar cane or ethyl alcohol, not that famous whiskey from Kentucky. The name Bourbon (pronounced bur-bone) comes from the period when the island of Reunion was ruled by the Bourbon kings of France. Bourbon now means Vanilla planifolia beans from regions other than Mexico. Q. Why does vanilla contain so much alcohol? A. Alcohol is the most efficient agent for extracting the flavor from the beans. Although most of the alcohol burns off in cooked foods, the flavor remains intact as the alcohol is simply the carrier for the flavor. The FDA requires that pure extract must contain 35% alcohol. Q. Are there non-alcoholic vanilla extracts? A. Yes and no. 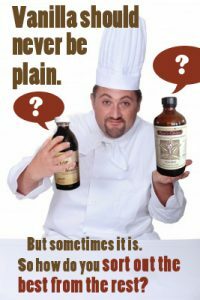 There are non-alcoholic vanillas but the FDA requires that they not be labeled Pure Vanilla Extract as they don’t contain alcohol. They are usually called Vanilla Flavor, are made in a glycerin base and usually contain as much vanilla bean extractives as extracts. They provide a reasonable non-alcoholic solution for flavoring foods and beverages. A. Tahitian vanilla is a blend of Vanilla planifolia and Vanilla odorata that was taken to Tahiti in 1847. 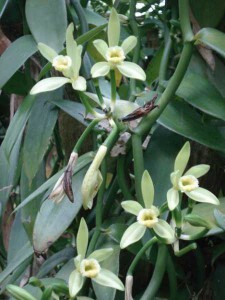 It is now considered its own species of vanilla, Vanilla tahitensis. Tahitian beans are fatter, moister, and sweeter, with less natural vanillin and more anise aldehyde than Vanilla planifolia. As a result, it’s very fruity and floral. Unfortunately, Tahitians have replaced much of their vanilla with other crops so Tahitian vanilla is very expensive. Q. What is French Vanilla? A. French vanilla is not a type of vanilla. It is a term used to describe an egg-custard base for ice cream. However, because it sounds exotic or romantic – especially in the perfume industry – it’s often used to describe perfumes, candles and other specialty products. Q. Is there a difference in flavor between Tahitian, Bourbon and Mexican vanilla? A. There’s a significant difference between Tahitian vanilla and Bourbon and Mexican vanillas because they’re different species, but there’s also a difference between the same species of vanilla depending upon where it’s grown. Vanilla’s flavors are affected by rain, soil, amount of sun, etc. in the same way as grape varietals are different when they are planted in different locations. This is called terroir. While most of us can’t detect a perceptible difference between vanilla vanilla beans grown 20 miles apart, some vanilla specialists can detect the difference. Q. Does vanilla have any alleged medicinal value? A. Since early times the indigenous people who cultivated vanilla have used it as medicine. They used it to calm the stomach, to treat asthma, congestion, and coughs, and even as a salve for syphilis. Up until the early years of the 20th century vanilla was used in the pharmacy to calm upset stomachs. In fact, Coca Cola syrup was often used as a stomach sedative, and later, Coke was substituted for calming the effects of nausea. The reason? Coca Cola contains vanilla! Vanilla is now used medicinally, especially by naturopathic doctors. It alleviates symptoms of sickle cell anemia in lab tests, but it doesn’t survive the digestive barrier. Q. Does vanilla have any value in aromatherapy? A. You bet! It calms the nerves and soothes the spirit. Sloan Kettering hospital pioneered experiments with fragrances to soothe patients going through MRI testing. They found that it helped patients endure the claustrophobic effects of MRIs. I carry a vanilla bean with me when I have annual MRI’s and I leave the bean for the technicians to use with other patients. The aroma of vanilla is calming to animals as well as humans. Q. Is vanilla an aphrodisiac? A. Legend has it that it is. In Mesoamerica, only royalty was served beverages with vanilla as they believed that they were the most deserving of its alleged benefits. Documents from the 18th and 19th century make reference to vanilla as an aphrodisiac for men, especially when it was made into a tincture. And tests conducted in the 1990s at the Institute for Smell and Taste in Chicago found that the aroma was a powerful stimulant to men. “The proof is in the pudding,” as they say; try wearing some vanilla perfume, serve a luscious dessert laced with the extract or place some vanilla beans on your pillows and see how the evening turns out! Q. Do your vanillas contain sugar? If so, how much? A. Vanilla is naturally sweet and really doesn’t need sugar. However, when it was made at the apothecary shops it was more like a tincture, and contained 25% or more sugar. Some companies use a sugar or corn syrup in their extracts while others don’t and the amount of sweetener and caramel coloring varies. We don’t use sugar or vanilla coloring in our extracts. The FDA requires that all ingredients be listed on the label, but it isn’t necessary to list the quantity of each ingredient. A lot of companies disregard the rules and don’t list whether they have corn syrup, sugar or caramel coloring in the extract. Consequently, it can be difficult to determine how much sugar is in vanilla unless you ask the manufacturer. Q. I love the flavor of vanilla, but I’m on a diet and don’t want to use it in fattening foods. Any suggestions? A. Vanilla is perfect for brightening otherwise bland or flavorless dishes. It accentuates foods and beverages and adds a natural sweetness as well. It’s perfect for enhancing protein drinks, enlivens low- and non- fat foods, and is a great adjunct to lots of savory foods too. Be sure to check our recipes here for beverages, side dishes, savory entrees and other delicious foods that aren’t fattening. Q. What’s the best way to store vanilla extract and beans? A. Extracts should be kept in a cool, dark place as light can affect it. A cupboard that’s away from the heat of the oven is fine. Vanilla beans also should be kept in a cool dark place, but they should also be kept dry so that they don’t mold. Storing them in a small jar or in plastic is usually fine, but if you live in a humid climate you may want to wrap them in waxed paper then place in a jar. Do not refrigerate or freeze extracts or beans as this can damage the extract and cause the beans to crystallize or dry. Q. My vanilla beans have gotten very dry. Are they any good? A. Yes. When the beans are soaked in liquid they will plump up again. For instance, if you’re making custard, warm them in the milk or cream. Another option is to grind the beans and use the ground beans to flavor sugar, coffee, tea, or a dessert. You can also put dry beans in a jar with sugar. They will absorb some of the moisture of the sugar and regain some moisture as well. Q. How long does extract remain good? A. Vanilla extract will last several years as long as it’s not exposed to bright light or temperature extremes. Because of its high alcohol content, it’s like good whiskey or brandy; it gets better with age for about two years and then levels off. However, if it’s exposed to heat or light, it will degrade some. Q. Why should people buy organic vanilla beans ? A.Actually, most vanilla worldwide is organically grown but it isn’t certified because the growers don’t have the money to pay for the annual certification fees. There are a couple of compelling reasons to buy organic when possible. First, the continued use of commercial fertilizers and pesticides slowly erode the quality of the soil. Tropical soils are not traditionally deep, nutrient-rich soils. They typically thin topsoil, which is easily eroded during heavy rainstorms. 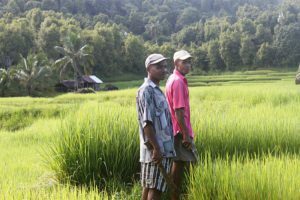 Because so much tropical soil has been degraded due to over-farming, slash and burn techniques, and clear-cutting of tropical forests, the soil has continually been compromised. The soils are no longer mineral-rich and cannot sustain a high level of health for the people who eat the crops grown in compromised soil. Organic gardening includes feeding the soil with nutrient-rich humus and compost. This, in turn, makes for healthier plants that can produce flowers and fruits in roughly half the time that it takes to grow in traditional tropical soils. The cycle in organic farming supports the soil and produces better products. By purchasing organically-grown products, we are supporting a win-win situation for the land, the growers, and the consumers. Q. I was recently given a bottle of vanilla by someone who had just returned from Haiti. The material is thick like a light syrup and dark. I was told it was vanilla concentrate. What can you tell me about it? A. This is imitation vanillin made from a coal tar base. As it may contain ingredients that we’ve banned in the United States, my suggestion is to throw it away. 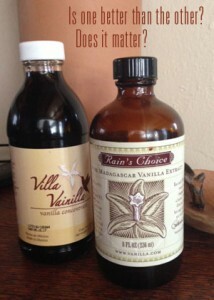 Rain’s Choice vanilla beans have been fairly traded and the majority of our beans are grown organically. Unfortunately, the cost of organic and/or fair trade certification of beans is more expensive than most farmers can afford. We do carry certified organic extract and, when possible we have certified organic beans for companies who need certified products. We do our best to purchase clean products. What’s the difference between imitation and pure vanilla? Does Mexico Still Produce Vanilla? I hope you can answer the following question. Is vanilla a common food ingredient in China and if so are these foods or packaging generally yellow in colour? Vanilla has made very few inroads so far in China. I know of one company that sell Madagascar vanilla and I know a research scientist who was hired by the government to do feasibility testing on growing vanilla in shade cloth conditions on Hainan Island. A few companies use vanilla; overall, very little vanilla is used. When pure vanilla is used, it would not turn foods yellow. Gennaro, that’s a difficult question to answer unless I could see, smell and taste the imitation vanilla. The issue is that there are different strengths of products. Known as folds or with the symbol “x” the imitation may be single fold (1x), double fold (2x), etc. However, it may or may not stay anything on the packaging. It also depends on what the imitation vanilla is made of. The best suggestion I have is to experiment. It’s the most reliable test you can do. Good luck! I have been reading lately that a lot of manufactures are now putting in Vanilla flavoring instead of the real thing. How can a consumer spot the difference. I bet price is the 1st indication, but what specifically should I (or any consumer) be looking for. Theo, I notice that you’re from Canada. I can’t guarantee that the information I’m writing here will coincide with Canada, but I imagine that the labeling will be similar. In the US, to be labeled pure vanilla extract, the product must contain 13.38% vanilla bean extractives, 35% alcohol and distilled water. Manufacturers may add sugar, corn syrup, caramel coloring (another sweetener). They are supposed to put this latter information on the labels but often don’t. To be labeled vanilla flavor, it is supposed to contain 13.38% vanilla bean extractives. The extraction process is done with propylene glycol instead of alcohol. Again, it can contain sugar, corn syrup, etc. If it is imitation vanilla it is required to be labeled as such. It is usually clear and made from chemically created vanillin. Where things get a little more dicey is the frozen dessert and dairy products labeled as”vanilla.” A standard of Identity was created in the 1960s/70s. Vanilla ice cream was supposed to contain pure vanilla. Vanilla flavored ice cream could contain a percentage of pure vanilla and a percentage of imitation, and Imitation vanilla ice cream was just that. Times have changed and the laws are largely ignored. There are some impressive ways to cheat. Often “Vanilla Bean” ice cream contains little flecks that people believe are vanilla bean seeds. They are actually expended ground vanilla bean powder left over from the extraction process. NOT ALL vanilla bean ice cream is made from them; some is made with freshly ground vanilla bean powder, but some commercial ice creams use only the expended powder. The newer generations of imitation vanilla flavoring are made from rice bran extract and from DNA created on a computer that is then spliced into heavily genetically modified yeast. Companies use the vague term “natural flavors” or “other natural flavors,” and use one of these types of synthetic vanillin. Consumers don’t know what this means, assuming they check the labels in the first place. Because vanilla is the most labor-intensive agricultural product in the world, vanilla beans aren’t cheap. That said, the farmers often make pennies on the dollar for their labor. Manufacturers usually want to pay the least amount possible for their vanilla. When prices are high or there are shortages (there’s a shortage of extract grade vanilla beans right now), they go for the imitations. The issue is that even expensive brands may be using “other natural flavors.” In the case of ice cream, look at labels and consider purchasing from a reputable small artisan producer. Our vanilla extracts contain 13.38% more vanilla bean extractives that required by law. We use sugar cane alcohol, which is non-gmo and gluten-free. They don’t contain sugar. As a result, they are clean, deeply flavored and it will reflect in the end-product. I hope this helps to answer your question. How in the world did it get frozen? Given that it’s is 35% alcohol, that’s a surprise. At any rate, it won’t hurt you if it’s pure vanilla but you will need to see how the flavor is as it may have lost some of its flavor/fragrance. If it’s okay, keep it in a cool, dark cupboard, not the refrigerator. A friend found a five gallon glass jug still packed in a wooden shipping box .. It is from 1932 never opened! Burnett pure vanilla. What do you think the value of this is? Why does clear vanilla turn yellow? I have no idea. Clear vanilla is synthetic vanillin made from chemicals. I have never used it. Possibly it’s a chemical reaction. I have a bottle of pure vanilla (35% alcohol), which I’ve used several times in baking, thinking nothing of it. However, when I used it for my whipped cream last night, I didn’t taste any vanilla flavor. So I added a little more…and a little more, to the point all we tasted now was the alcohol. What’s the trick to using pure vanilla for something like whipped cream? I purchased some vanilla concentrate in Jamaica. When I made caramel frosting for a cake the vanilla was very strong . My family wouldn’t eat it and I had to throw it away. How do I dilute this to a usable state. Sad to say I purchased 3 bottles. Linda, unfortunately you were duped just as most tourists are when they travel to the Americas. What you purchased is imitation vanilla with unknown additional chemicals. Here is an article to read about this issue: http://www.vanillaqueen.com/vanilla-from-mexico-central-american-and-the-caribbean/(copy to your browser as there is no way for me to make it live here.) The wisest thing to do is to toss it and write it off as a common mistake. Best to purchase pure vanilla in the US where there are rules and standards. Faizah, the short answer is no, you can’t cook and eat fresh vanilla beans. Although they do look similar to the green beans we eat, in fact they’re a fruit of an orchid plant. Not only would they not be tasty, they have small, sharp, fibers that cut fingers and hands and can cause a rash as well. They need to go through a very different process in order to bring up their flavor and fragrance, and this process includes drying the beans.